One of Marlin Steel’s key specializations is the fabrication of custom sheet metal forms for a variety of manufacturing applications. To ensure fast, accurate, and repeatable sheet metal fabrication, Marlin’s production team uses high-end factory automation equipment—and the management team is constantly looking for new automation solutions that can further enhance the company’s productivity and consistency to deliver Quality, Engineered Quick® to Marlin’s many clients. 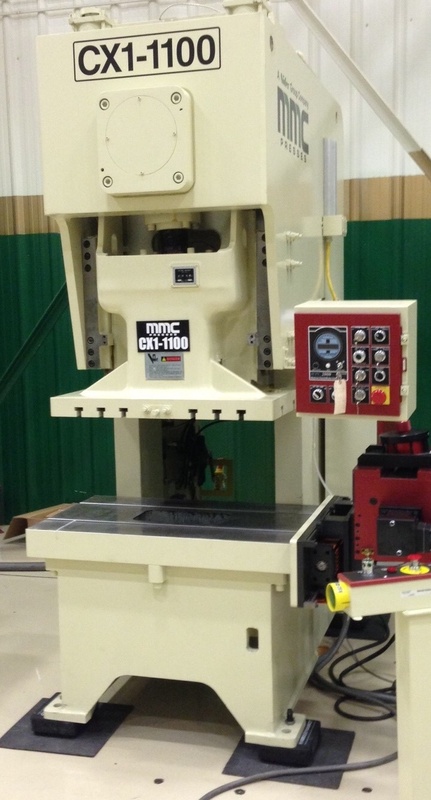 The Minster CX1-1100 is a single-point gap press machine used for sheet metal fabrication that helps to bring Marlin’s manufacturing capabilities to the next level. The CX1-1100 is a 22,000-pound piece of manufacturing equipment that applies up to 121 tons—or about 60 cars—of force onto a single point. Piercing. This is a process wherein holes are punched either partially or completely through a piece of solid metal. Swaging. Here, wires are compressed so as to be thinner on one end. Coining. The shaping of metal into a specific shape using a die in the same way that coins are made. The overwhelming force applied by the CX1-1100 makes sheet metal fabrication fast and consistent without the need for excessive secondary operations to clean up messy results. Also, because this machine is stronger than Marlin’s other stamping equipment, it expands the range of metal alloys that Marlin will be able to form into custom shapes so we can provide more high-quality, Made-in-America products to customers the world over. 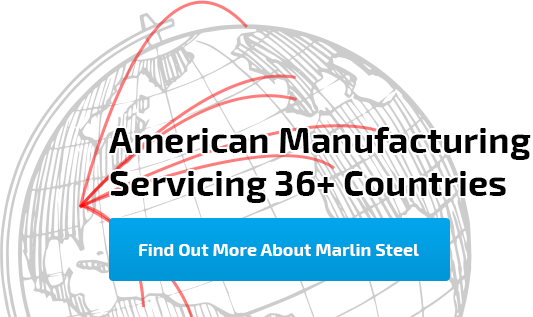 If you want to learn more about Marlin’s sheet metal fabrication capabilities, please contact us. Find out how Marlin’s factory automation and fast domestic delivery can get you a custom metal form with Quality Engineered Quick®.